1. Cost Effective – When sending email newsletters to clients the ratio of cost to benefits is HUGE and in your favor! For example… to send out 2000 email newsletters that land in your client’s email inbox is basically FREE, except for any 1-time set up fees and your time (if you try to do it yourself). To send out 2000 postcards that land in your client’s physical mailbox would cost you about $1400 (give or take). 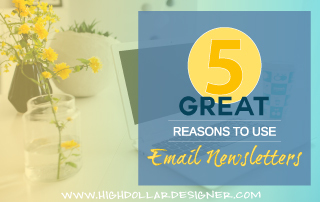 PLUS on top of all that… if you were to send your email newsletter 1x per month, the initial design and set up expense does not duplicate every month! That happens only 1x. You can’t do that with a postcard. You’d have to design and send a new postcard every month. 2. 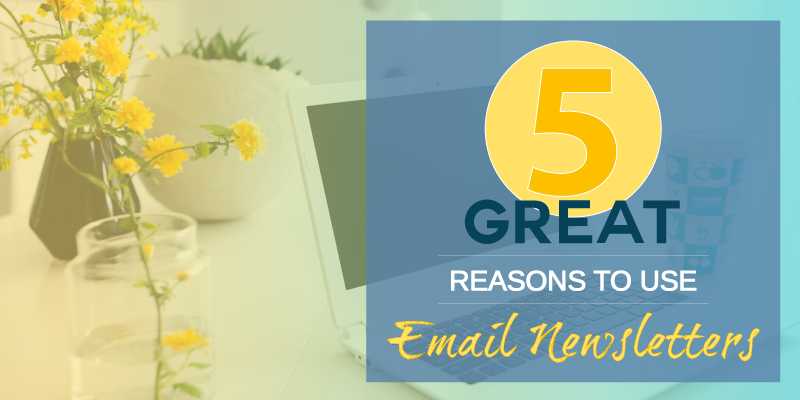 Easy – Once you learn how to write email newsletters and send them, it’s a no brainer. It’s not super complicated and all the major email providers have tutorials on how to use their software. 3. Exposure – You are in front of your clients on a regular basis, sending them colorful pictures, tips, inspiring ideas and planting seeds in their minds for new projects. 5. Easy Sales to Pre-Qualified Customers – Typically you’ll send your newsletters to those that already know you, like you and even have worked with you before. They WANT to hear from you. Your readers will call you with new projects faster than ever. Plus you already know them, so they’re the most enjoyable to work with and super easy to start on new projects together. When you provide a great newsletter for your readers… it’s informative, inspiring, colorful and fun to read. They’ll look forward to seeing it in their inbox, reminding them to contact you about they’re next project! Prior clients are the fastest and easiest way to get new work. Make sure you’re staying in touch on a regular basis with fun, colorful email newsletters! Good info and a great reminder to keep in touch with those people that already know you. Would you think it’s a good idea to share a client story with pictures that tell the story of the work you did so your client has even more reason to share your newsletter with family and friends or is that too personal. Great idea Patricia and definitely not too personal! People love to see the work you’ve done for others, especially with before and after photos. They also like to hear the back story of what you went through to complete the project. I’d say go for it! Thank you Barbara, I will take your advice and start sharing.